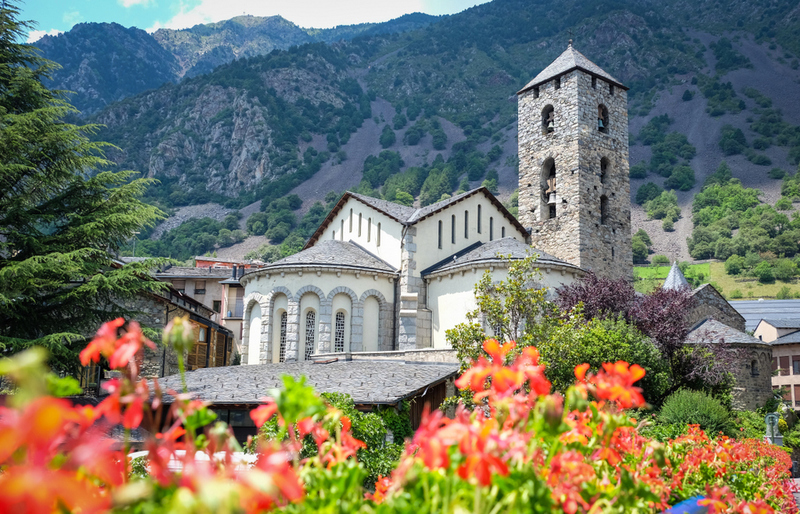 The mysterious country Andorra wasn’t on my original itinerary for Europe this summer. From my launch pad in Copenhagen, I planned to head to Athens, then upward into Albania and through the Balkans until I arrived in Belgrade. In fact, I had no flights booked until two weeks before I arrived! But then after learning that my friend Becki wouldn’t be in Athens during my visit, I decided to look around, use Skyscanner to “fly to anywhere” from Copenhagen, and see which cheap destinations popped up. There it was. Barcelona for only $60, then on to Santorini, direct (! ), for $70. BOOKED. Now, Barcelona and I have a complicated history — after two trips, I still didn’t really enjoy the city. But with a visit timed for summer sunshine (unlike my previous two rainy visits) and friends in town, this would probably be my best chance to enjoy the city. And all the things I love about Spain: jamón ibérico, cava, late nights, flamenco music played on the guitar. But those weren’t the only reasons. A temptation lay just three hours away, nestled in the Pyrenees.